Are you looking for that extra touch to energize those wedding photos? How can you make your photos stand out? What extra element could you add to make the photo pop? If you are following the wedding trends, we have the perfect solution for energizing your wedding photos and encouraging guest engagement. Cheap sparklers for weddings, of course! You’re in the market for sparklers, and we have you covered! Our cheap sparklers are the BEST way to give your photos that extra burst of energy. “How?” you may ask. Let’s explore the different things you can do with cheap sparklers for your wedding! At Wedding Sparklers Outlet, we have great sparkler packages for weddings, celebrations and more! Our sparklers for sale vary in size, burn time, shape and customizable additions. If your ceremony is at night, it is likely you will need the flash for your photos. Why not use sparklers to light up your guests and provide a truly unique photo? Sparklers can be the focal point or added background lighting. 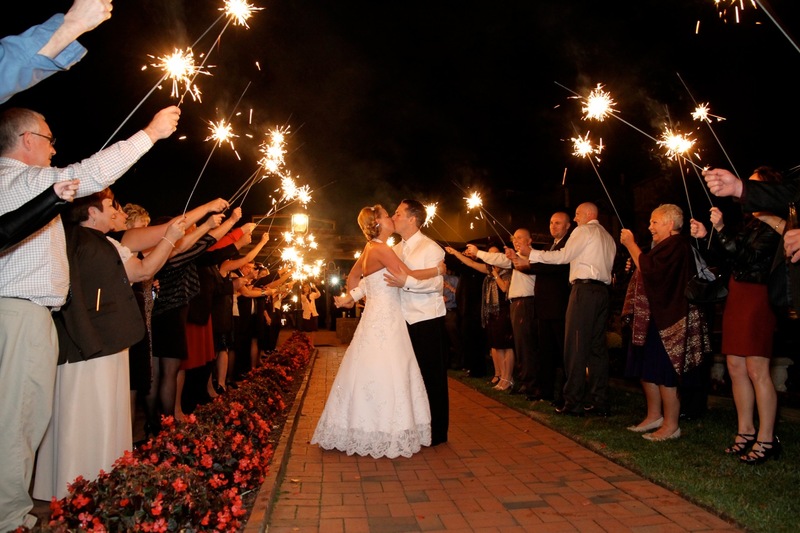 Either way, the presence of sparklers in your wedding photos will provide truly magical images. Head over to Pinterest and pick out your favorite sparkler photo ideas, order your cheap sparklers and get to work! Let the creative juices flow! Our cheap sparklers for weddings can be used for decor which would make for great photos! Many of our customers use sparklers for various decor throughout their wedding. Cheap sparklers can be used in many different facets at a wedding from wedding gifts to accent lighting, send offs and more. Visit our website to choose the perfect sparklers to energize your wedding photos. We have cheap sparklers varying in size, burn time, shapes and additional custom tags to make your wedding truly special.